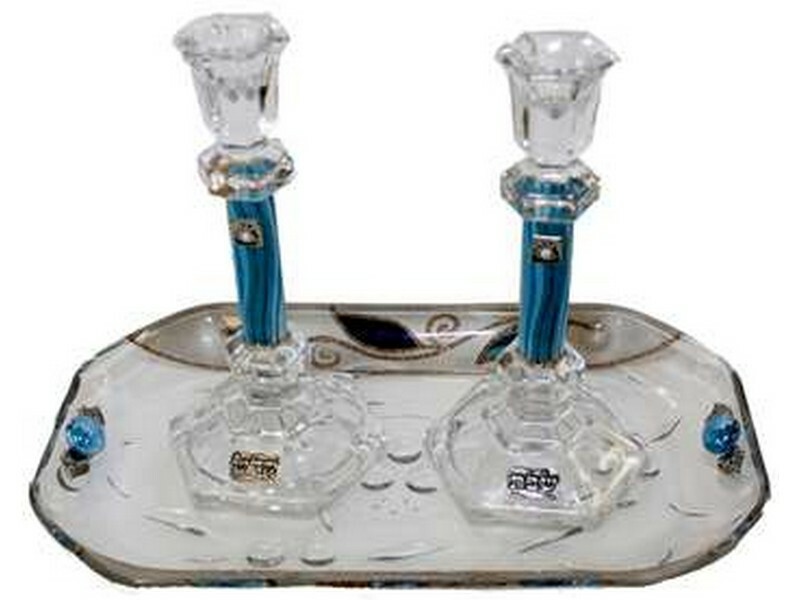 This matching set of crystal candlesticks and tray will make a beautiful centerpiece to your Shabbat table. Each crystal candlestick is designed with shades of blue and embellished with a small metal and pearl plaque. At the base of each stick is a small silver colored plaque one which reads “Shabbat” and the other, “Kodesh”. Candlesticks come complete with a matching crystal tray decorated with a tulip applique and blue accents.